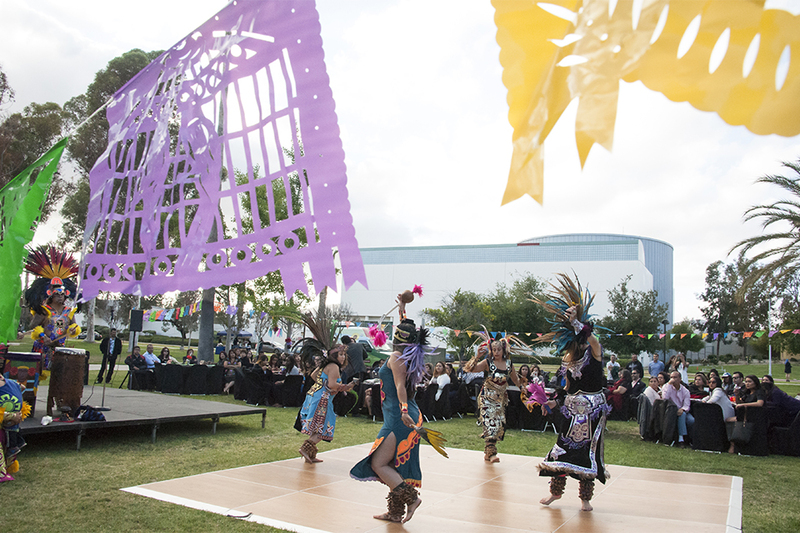 California State University, Northridge celebrated the graduation of students of Latino heritage at the annual Aztlan Graduation Celebration on May 20. Photo by Luis Garcia. The event, which was hosted by the Department of Chicana/o Studies and MEChA, is a cultural celebration to recognize the diversity of CSUN students and congratulate them on a successful academic journey. 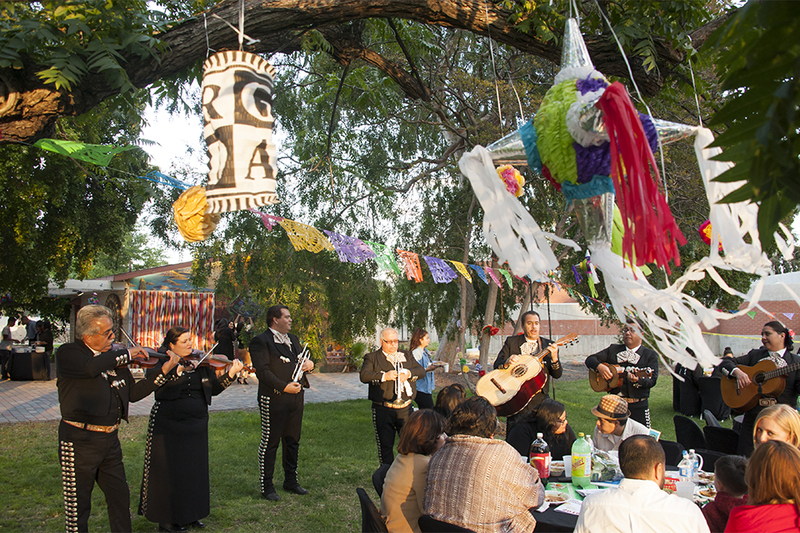 Attendees were treated to music performed by Mariachi Aztlan. Photo by Luis Garcia. Dozens of a family members and friends enjoyed the festivities at CSUN. Aztec dancers performed during the event. Photo by Luis Garcia. 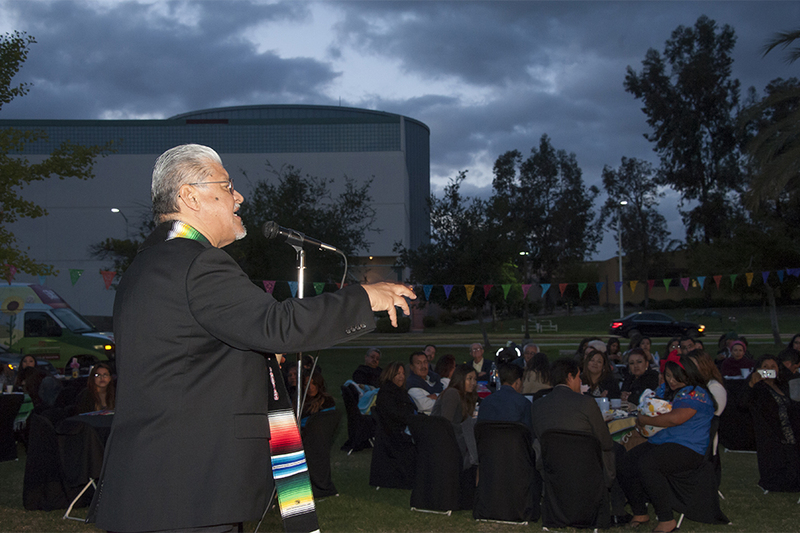 Poet Laureate of Los Angeles, Luis J. Rodriguez, a lifelong Angeleno and self-proclaimed “Valley Guy,” served as the keynote speaker. Rodriguez served as scholar-in-residence this semester and taught a literature course in the Department of Chicana/o Studies. Photo by Luis Garcia. 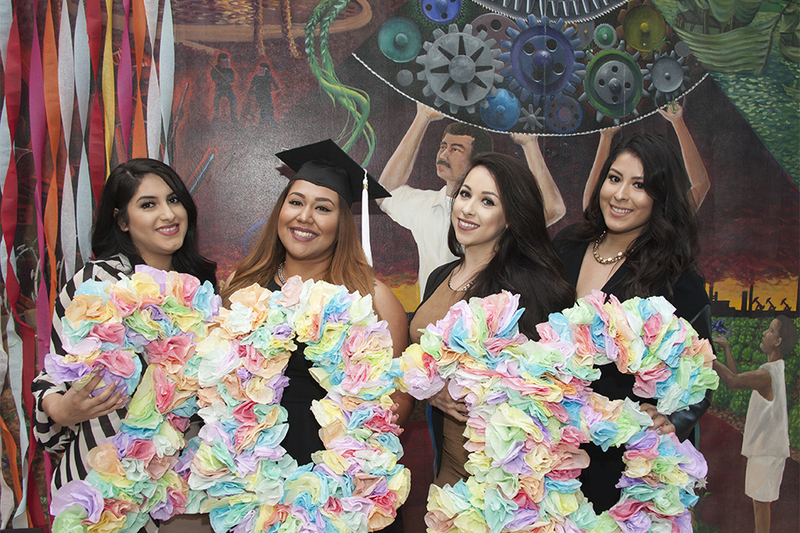 California State University, Northridge celebrated the graduation of students of Latino heritage at the annual Aztlan Graduation Celebration on May 20. The event, which was hosted by the Department of Chicana/o Studies and MEChA, was one of several cultural celebrations to recognize the diversity of CSUN students and congratulate them on a successful academic journey. Poet Laureate of Los Angeles, Luis J. Rodriguez, a lifelong Angeleno and self-proclaimed “Valley Guy,” served as the keynote speaker. Rodriguez served as scholar-in-residence this semester and taught a literature course in the Department of Chicana/o Studies. Attendees were also treated to music by Conjunto Hueyapan and Mariachi Aztlan.